1. Did you always know you wanted to be a writer or did you want to be something else? I always wanted to be a writer. During summer break, I would sit down at my dad’s old typewriter with the intention of writing historical fiction romances. I didn’t know I could actually finish a manuscript until a couple decades later, and along the way, finding a more “practical” career seemed very important. I did find a career I love (school psychology) and currently I feel like I have the best of both worlds! 2. How long does it take you to write a book from start to finish? Typically, it takes me about three months. Towards the end, I tend to go into “mad artist mode” and I write like a crazy person every chance I get. Then I start breathing again and trying to get my house back into some kind of shape. 3. How do you come up with themes for your stories? My first two books can be construed as “issues” books. 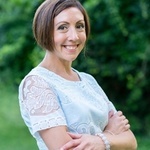 Working as a school psychologist, I naturally arrived at the ideas after participating in trainings and discussions and hearing a lot in the media related to Autism awareness, “mean girls,” cyberbullying, etc. I liked the idea of reaching teens and encouraging reflection and discussion about some of these topics in a non-preachy manner, and the idea of touching upon these themes in novels seemed like one way to go. 4. Do you have a schedule of when you write? I try to keep a schedule, but juggling family demands and my “day job” sometimes makes it difficult. I usually come up with a self-imposed deadline for finishing a draft, then look at my calendar and try to cram in writing sessions wherever they fit. 5. How are you able to balance other aspects of your life with your writing?. I keep a super organized planner and am pretty efficient with most tasks. I know I have to prioritize, and that some days writing simply can’t be a priority. And some days, if I’m in the zone, that I have to let it take over. Most of the time, then, the balance works itself out. Most of the time. 6. What elements do you think make a great story line? Authentic character development. Gradual pacing when it comes to relationship building. And a little UST never hurts! 7. What was the hardest thing about writing a book? 8. How many books have you written so far? Do you have a favorite? At this time, I have three books out or in the works. I’ve written nine manuscripts, however. I’m pretty sure my favorite will never see publication, which I’ve come to terms with and decided I’m totally okay with. This way, the characters will always be mine – they won’t be put through the grueling editing process or judged by readers. I sort of like keeping them protected that way. 8. Do you have a favorite character? Georgia Nicolson from Angus, thongs, and Full-Fronting Snogging is laugh out loud funny. I’m pretty sure my dog thinks I’m crazy because she’s caught me laughing so hard I’m crying while in an otherwise empty house while reading that series. 10. Where do you write? Wherever I happen to be when a few moments open up. Most frequently visited spots included my sun room, my home office, or Panera or Starbucks. I’m actually the most focused with some white noise in the background. 11. When deciding on how to publish, what directed you to the route you took? As a participant in NaNoWriMo, I received an email about the launch of the Swoon Reads community. To me, it felt like such a gift! I was a full-time working mom of two young kids at the time, and finding the time to do the query process right was a huge challenge. Having the opportunity to gain direct access to a publishing company was awesome! And the crowd-sourcing angle was a lot of fun – along the way, I was able to connect with some fabulous authors who became friends and get feedback about my stories. 12. Have you gotten feedback from family about your book(s)? What do they think? My parents sort of think everything I do is perfect, so I’m not sure they’re objective! But with that being said, I get the sense that family members are proud that the books I’ve written thus far have the power to really impact young readers in terms of self-reflection and thinking about how they treat others. 13. What kinds of things do you like to do outside of writing? I like to plan thematic birthday parties for my kids. I like working out and have ambitions of running one of the Disney half marathons. I like etsy and Pinterest an awful lot. I like watching The Blacklist with my husband. And I’m pretty happy just staring at the different expressions that come over my kids’ faces. 14. What kinds of advice would you give to someone who wants to start writing? I’m a big fan of the adage ‘write what you know.’ Especially when you’re dipping your toes into the writing waters, I believe writing about familiar subject matter can result in a more authentic read and give you as the author increased confidence that you’re getting it right. When I wrote How to Say I Love You Out Loud, I definitely drew on my experience working with a special needs population and it made the process feel less like guesswork. 15. What is your favorite book? favorite author? Do you have an author that inspired/inspires you to write? 16. Do you have any go to people when writing a book that help you with your story lines as well as editing, beta reading and such? Yes, but I often feel bad depending on them because I’m pretty awful about being as awesome as they are in giving feedback in return! I wish I had more hours in the day. Now I usually bounce ideas and revisions off of my editor, Holly West, who’s the BEST. 17. Are you working on anything now? My third Swoon Reads novel, The Truth About Happily Ever After, which comes out in May 2017, is in the editing process. This book is less of an “issue” book than my other two, and overall is just a lot of fun. It’s set in a popular theme park and the main character plays Cinderella at the park. And I absolutely adore her love interest. 20. If you could travel anywhere in the world to visit a place so you could use it as a background for a book, where would it be? I’ve already traveled to some of the more exotic locations on the planet, so I wouldn’t mind visiting a small town in the South during a perfectly ordinary summer. I always think these make great settings for teen romance. 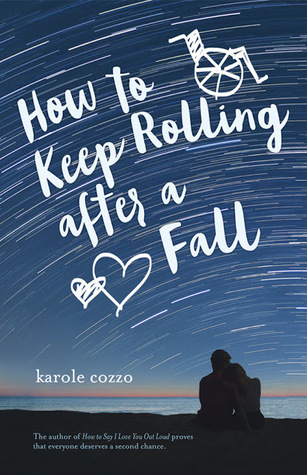 KAROLE COZZO is a school psychologist by day, a wife and mother of two by night, and a writer of YA romance in the wee hours of the morning. She loves camping out at Starbucks, breakfast cereal at all hours, and watching every movie made from her favorite YA books. How to Say I Love You Out Loud is her debut novel. I really liked the interview, and am super excited to read this book.